Your one-way ticket to foodie bliss has arrived: West Village is bringing European charm and authentic feasts right to our doorstep. Experience Italy in West End thanks to inner-city oasis Laneway WV, with a pop-up running from July until September. Not doughing things by halves, they’ll be serving delicious eats all the way from breakfast through to dinner featuring Salt Meats Cheese and Gelato Messina, as well as Bowen Hills fave Montrachet Boulangerie to add a dash of France to your mornings. Indulge in fresh pastries from 7am with a cup of freshly roasted Italian coffee from the laneway’s on-site roastery. 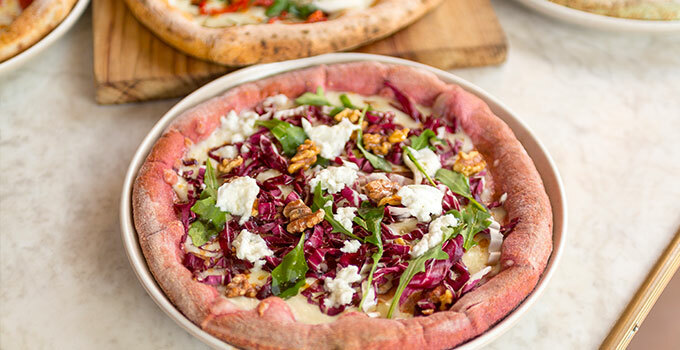 Once you’re fangin’ for a feed at lunch, Salt Meats Cheese has you covered with their wood-fired pizza, crispy porchetta and other popular eats including exclusive new West End flavours, such as a vegan pizza with a beetroot base and sliced radicchio. Nights are set under the twinkling lights of Laneway WV with good vibes, music and plant-based cocktails courtesy of a boutique container bar. Feeling the chill? It’s getting hot in herre as Gelato Messina pops up for four weeks in July serving an exclusive Bombe Choc Alaska hot chocolate made with rich gelato and topped with toasted marshmallow. There’ll also be a range of mini custom-made gelato cakes. Swoon. If you’re in the area (or even if you’re not, it’s worth the travel – trust us) make Laneway WV your first stop for a day of foodie goodness. Laneway WV will be serving breakfast from 7:00am – 3:00pm, lunch from 12:00pm – 3:00pm daily with dinner from 5:00pm – 9:30pm Wednesday – Saturday. Gelato Messina will be serving delicious treats Friday 5:00pm – 10:00pm, Saturday 12:00pm – 10:00pm & Sunday 12:00pm – 9:00pm. - the gourmand who can’t go a day without pizza.